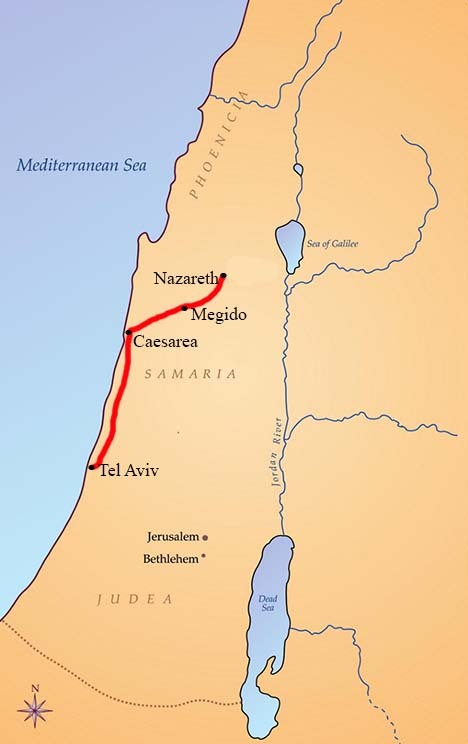 Soon we are on our way to Nazareth, traveling by bus up the Mediterranean coast (see the red line in the map below, then follow the step by step instructions to visit sites on the map in correct sequence). Click on the map location of Caesaria to see what I mean. After returning to this map, click on Megido.